Pioneer may have put another nail in the AppRadio Mode coffin with the announcement of AppRadio One yesterday. As more information becomes available, it seems like the two modes will be different from each other. Especially because of the way smartphones need to be connected to the newer head units. So I'm going to take the liberty of speculating on Pioneer's next generation AppRadio 5 and how it will be sold to potential customers. Pioneer hasn't dropped the 'AppRadio' name yet, which means the AppRadio 5 moniker is quite likely. What will the device offer? CarPlay - Most definitely. Apple's in-car software has been received with positive feedback for the most part and is definitely going to be one of the two most popular softwares to use in the car. Android Auto - Maybe? Google is going to roll out Android Auto at some point with more information likely at next month's CES 2015. 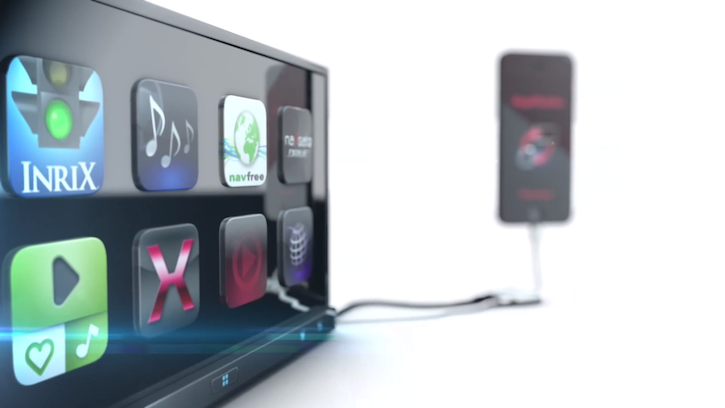 So could Pioneer reel in the software and load it up on its next generation AppRadio? Or will a separate line of Android Auto products be made? The jury is still out on this one. AppRadio One - Most definitely. Announced yesterday and offering simpler connectivity to the head unit. No more cluttered cable kits that tangle around your feet in the car. A single cable connection is all it takes. AppRadio One is built with AppRadioLIVE at the center. Imagine this. The ability to switch between CarPlay and AppRadio One with the click of a button! No need to switch cable connections like in the NEX receivers or AppRadio 4. The same thing with Android Auto and AppRadio One (if Android Auto is offered). I like the sound of that. Well, it's easy to sit down and speculate all you want but we won't know anything until we actually know something. That's the way things work these days. Head units have become more like smartphones now - they get outdated every year and older devices don't get the newer features. The AppRadio 5 future may not be that far out. Time will have all the answers! Just to remind everyone again, this has only been a bunch of dreamy speculation!